Ready to ROCK THE VAULT? Here’s what you could win…if the writing community works together to unlock these mega prizes! Winners will receive a $50 US Gift Certificate to be used at the One Stop for Writers site. A restaurant setting! Food, drink, and sitting down to talk shop with Becca—what could be more fun? Pick her brain, discuss your latest project, or simply enjoy the time to visit. The winner of this prize will be contacted by Becca Puglisi to arrange a meet-up for dessert or lunch in the Manhattan or Westchester Country Area (NY) at a time and place agreed upon by both parties. The winner is solely responsible for getting to and from the chosen meeting spot, along with any expenses this may entail. 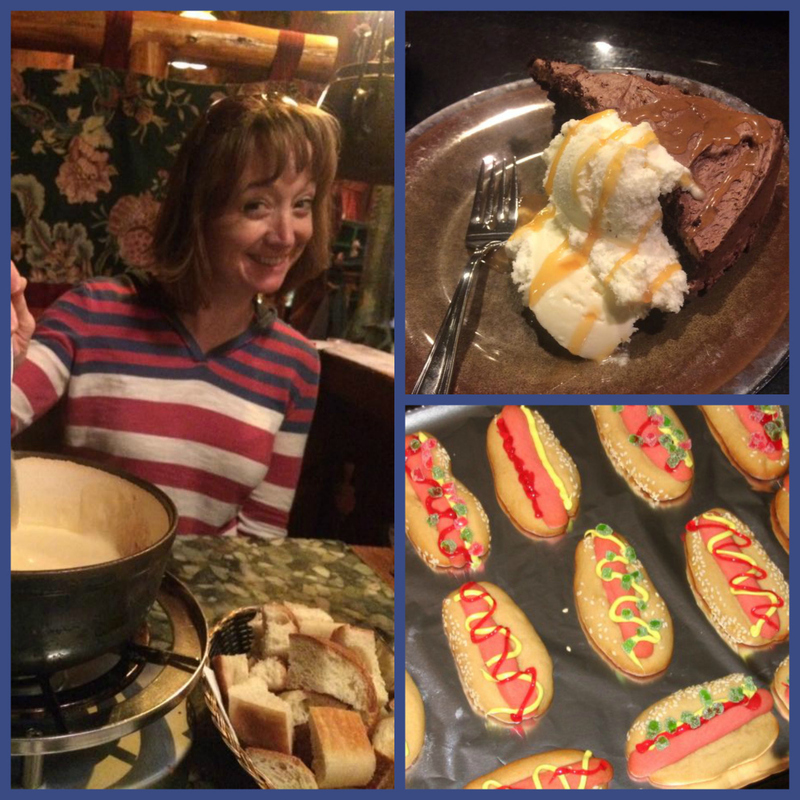 Becca Puglisi will cover the dessert or lunch tab, of course! Another restaurant setting! 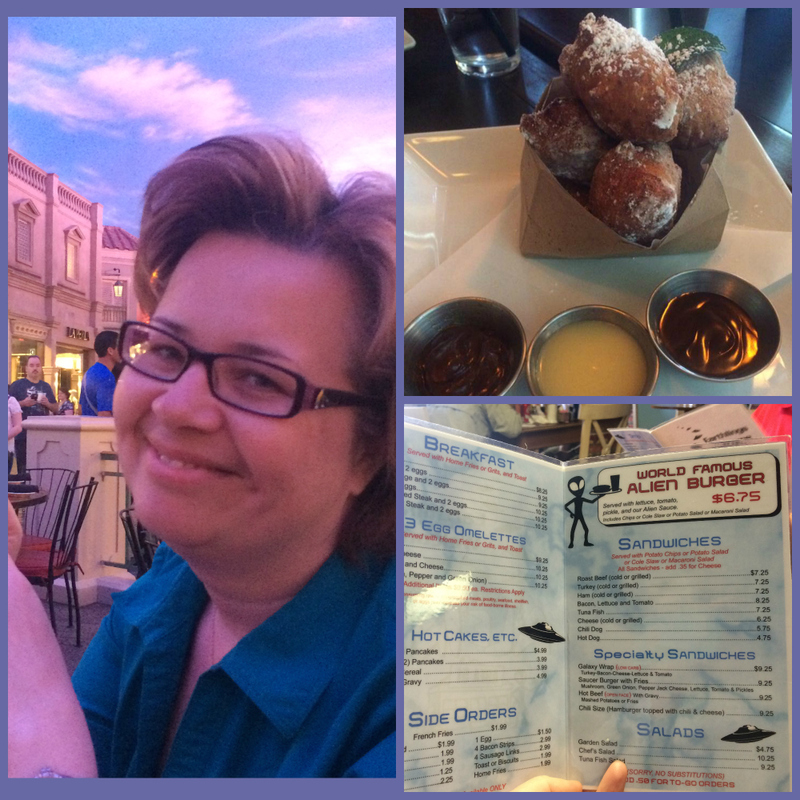 Food, drink, and sitting down to talk shop with Angela—what could be more fun? Pick her brain about writing or marketing, discuss your latest project, or simply enjoy the time to visit. The winner of this prize will be contacted by Angela Ackerman to arrange a meet-up for dessert or lunch in Calgary, Alberta at a time and place agreed upon by both parties. The winner is solely responsible for getting to and from the chosen meeting spot, along with any expenses this may entail. Angela will cover the dessert or lunch tab, of course! 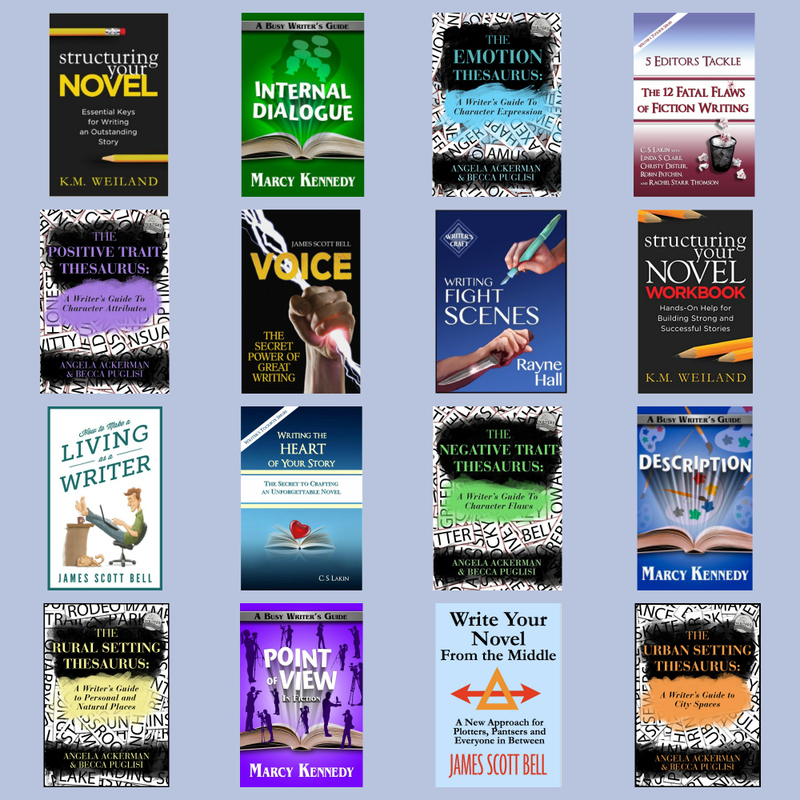 To write stronger, more compelling fiction, our Setting Thesaurus books contain the sights, smells, tastes, sounds, and textures for 225 different contemporary locations. Well, we want to send you to one of the settings we visited to collect your own sensory detail! Will your mystery sensory experience be at a local antique shop where you can buy yourself something special on us? Or perhaps you’ll visit that new bakery that opened up. Maybe you’ll end up at a trendy restaurant, the spa, a zoo, or somewhere else fun! 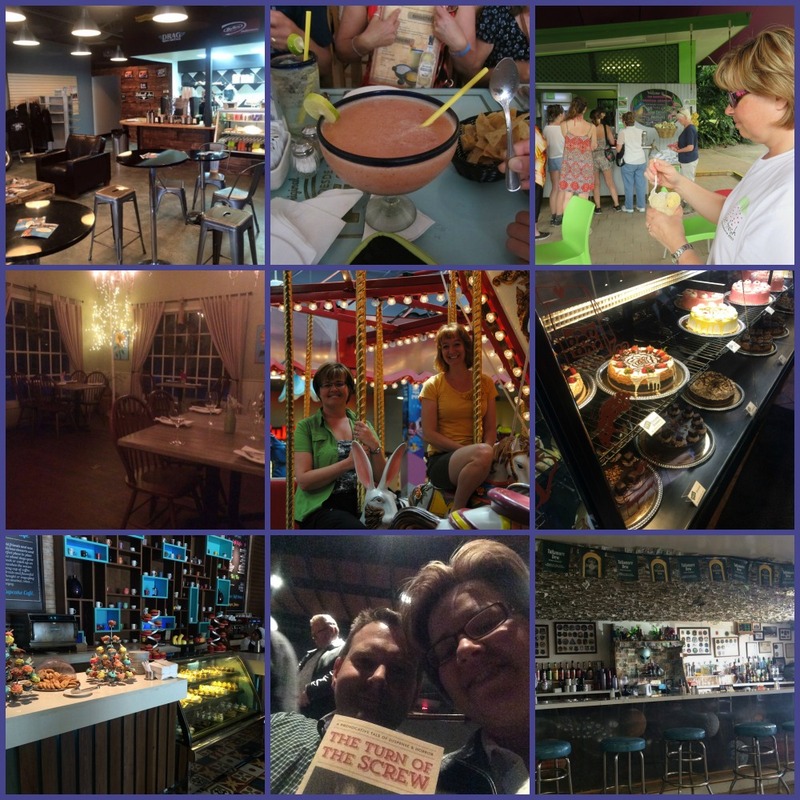 The winner will be asked to provide additional information regarding interests, and then a mystery setting experience within an area local to them will be chosen and given in the form of a gift certificate. Angela and Becca will do their best to create an experience that will appeal to the winner, but the nature of this prize is a mystery. It cannot be exchanged and has no official cash value. If the winners wish to not use the experience themselves, they can pay it forward for someone else to enjoy. The winner will be responsible for getting to and from the mystery experience, along with any expenses this may accrue. And naturally, any costs that may go beyond the gift certificate’s value will also be the winner’s responsibility. The winner will enjoy a seat in a webinar taught by bestselling author, writing coach, and marketing maven Kristen Lamb. The time and type of class will be determined by the winner and Kristen Lamb, and should the winner be unable to attend the online class, a recording will be provided instead. This prize has been generously donated by Kristen, because she’s awesome like that. 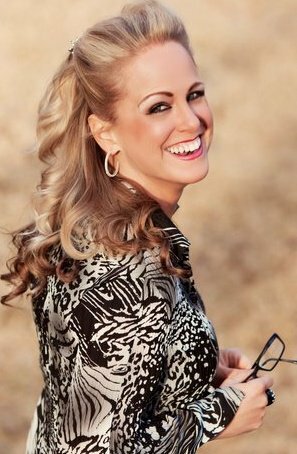 Angela’s note: Kristen is an AMAZING teacher, both in writing craft and all things marketing & platform. This prize will definitely give you a leg up in your career, and her blog is a treasure trove of great information. The winner can choose an On-Demand Webinar Recording from the list provided here. 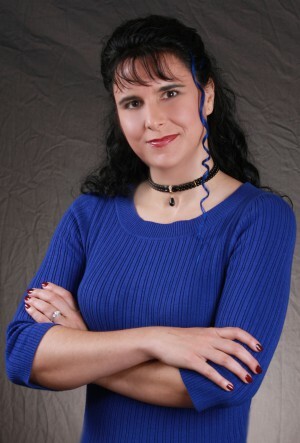 Jami is an award-winning author many times over, and she knows her way around a novel. (Are you following her blog? You should!) Her webinars can help with plotting and structure, or if you prefer, website set-up, or marketing & platform! Looking to get a handle on story structure and character arc? Story experts Michael Hauge and Chris Vogler team teach, looking at these topics from both the 6-stage Plot Structure model, and the Hero’s Journey. 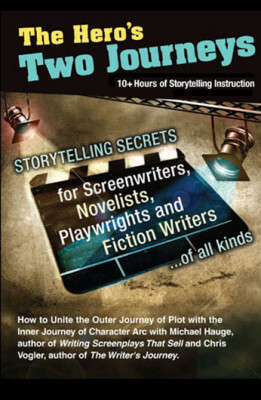 FYI, this amazing video series is one that all writers should own. And his Story Mastery site is a treasure trove, so bookmark it! This prize has been generously donated by Michael Hauge. Yes, saving the best for last! Jennie Nash, book coach and founder of Author Accelerator has generously offered up this amazing prize. 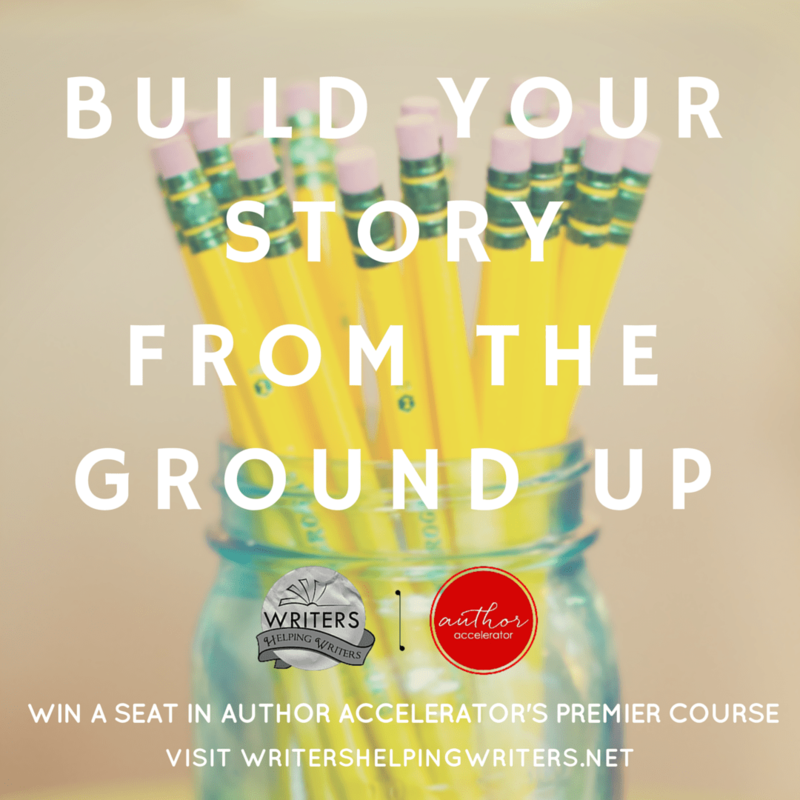 Blueprint for a Book is a 5-week course that goes beyond simply plotting your book and drills down into the most important elements that will drive your story forward. Without these in place before you start writing, you could risk years of frustration and books that go nowhere. Blueprint for a Book will match the winner with a book coach based on genre, writing level, and personality. The winner will gain access to assignments, course videos, lessons, and personal coach reviews to help narrow down their book’s focus and plot so they can transition to writing it with confidence. This course is available for writers of fiction, nonfiction, memoir, and speculative fiction. For a detailed list of the elements of this course, stop by Author Accelerator. 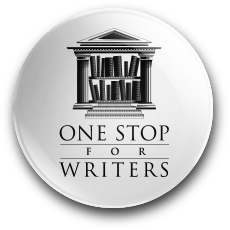 Writers Helping Writers® and One Stop For Writers® giveaways will run for the length of time as described in each individual event. Unless otherwise stated, all giveaways are open to anyone over the age of 18, and only in states, provinces, or countries where such giveaway activities are legal. All winners will be selected randomly through Random.org unless otherwise stated. Duplicate entries will not be considered. Entries that do not follow form rules will not be considered. Any images posted in conjunction with giveaways by entrants that do not belong to Writers Helping Writers® must belong to the entrant themselves, or be used with permission of the copyright holder. Writers Helping Writers® and its products claim no responsibility for any copyright materials used in conjunction with giveaway events that do not explicitly belong to Writers Helping Writers® or its products. Giveaways are free to enter, and any social sharing involved is optional, not a condition of entering. No purchase or payment is necessary to enter or win. Purchases will not increase an entrant’s chance of winning. Prizes are absolute and can not be substituted for cash. Should a winner be unable to accept a prize due to ineligibility, a new winner will be selected. If a winner cannot be reached within 48 hours to accept the prize, they forfeit their winnings and a new winner will be selected. Winners will be announced on the date drawn, and notified by email. Ready to enter? Just fill out this form! All good things must come to an end, and ROCK THE VAULT is now over. Thank you everyone for entering and playing along by showing off your #myfavoritethesaurus. Watch your email boxes!